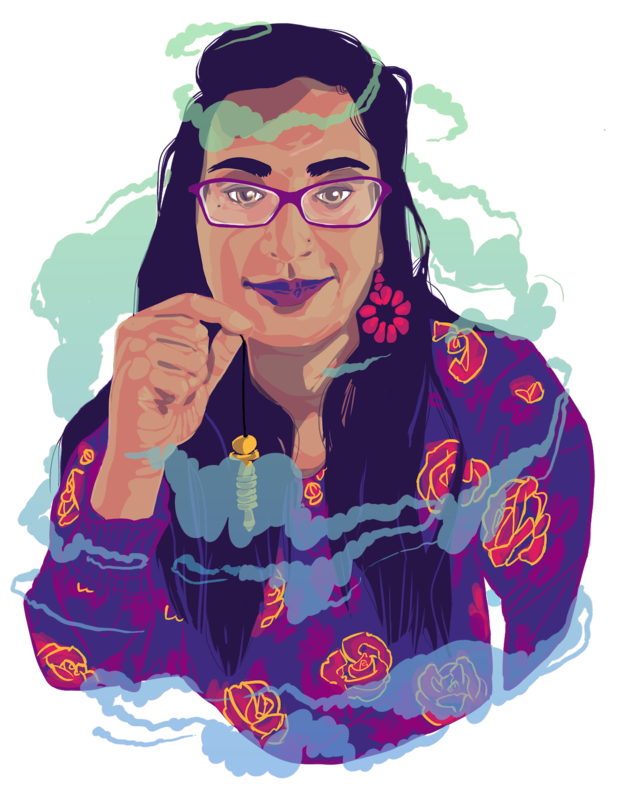 Shaunga Tagore’s Letters to the Universe is a brown femme “superqueero’s” epic, fantastical journey through time warps, alternate dimensions, the underworld, and to the top of her life story’s mountain. Written and performed by Shaunga, along with a stellar cast of larger than life Spirit Messengers, Letters is part autobiography, part mythology, part ancient & future memory, and part ritual. It is a story of survival and faith, and of finding meaning and purpose through times of death, break-ups and abuse. It is a heartfelt dedication to family, ancestors, and to our sacred, cosmic place in the Universe. This multidisciplinary & multi-dimensional story is told through theatre, dance, poetry, video, song and astrology. A workshop production of Letters was presented in September 2017 at The Theatre Centre in Toronto. Enjoy an excerpt from our 2017 workshop production. In this scene, Shaunga, The Storyteller (and Gemini Spirit), is dragged into the Underworld on her 33rd birthday – the domain ruled by Premonition, the Scorpio Spirit (played by Anabel Khoo). Here, Shaunga is confronted by her own personal hell and the stories that live there. – Mooney On Theatre, September 2017 Read the full review! Visit our 2017 workshop production website for Letters to the Universe – here you can find details on the cast and crew, dive deeper with the characters, and more.